My affection for Crispin Cider is well documented. Is a delicious, low-key and perfectly balanced hard cider. 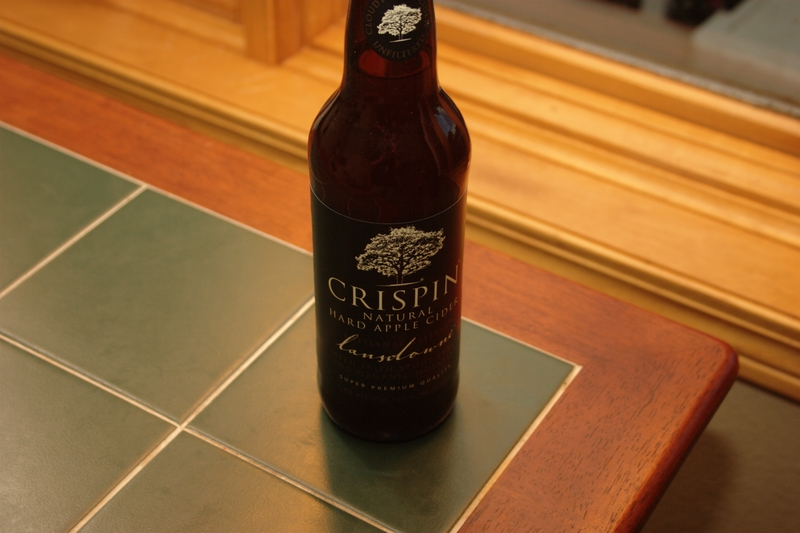 As I’ve mentioned in the past, the majority of Crispin ciders tend to taste more like wine than beer. However, I was thrilled to receive a bottle of Lansdowne in the mail today from Crispin. They just launched their new line this weekend, so I was more than happy to sit down and not only taste the new drink, but also make a new cocktail with it! Ahhh, rugby. Another one of my favorite things! 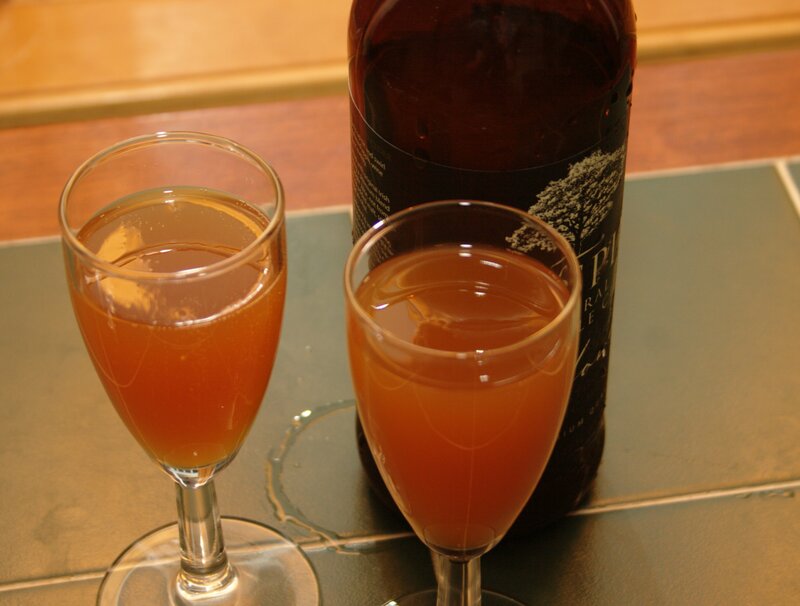 The cider is made with Irish stout yeast, molasses and honey. It has a much darker hue than any of the other Crispins, which makes sense. It also tastes the most beer-like. It has a nice, heady flavor with a solid sweet backing. There’s still that distinct apple taste, being cider. But, it’s almost like a beer that was brewed with apple in the background. Personally, I’m going to probably say this is my favorite Crispin so far. However, you have to have a taste for it’s murky goodness. Jenn, while she liked it, said she prefers the lighter, brighter version such as the Honey Crisp and The Saint. But, it’s a perfect fall compliment. So, we’ll need to make the perfect fall cocktail to go along with it. 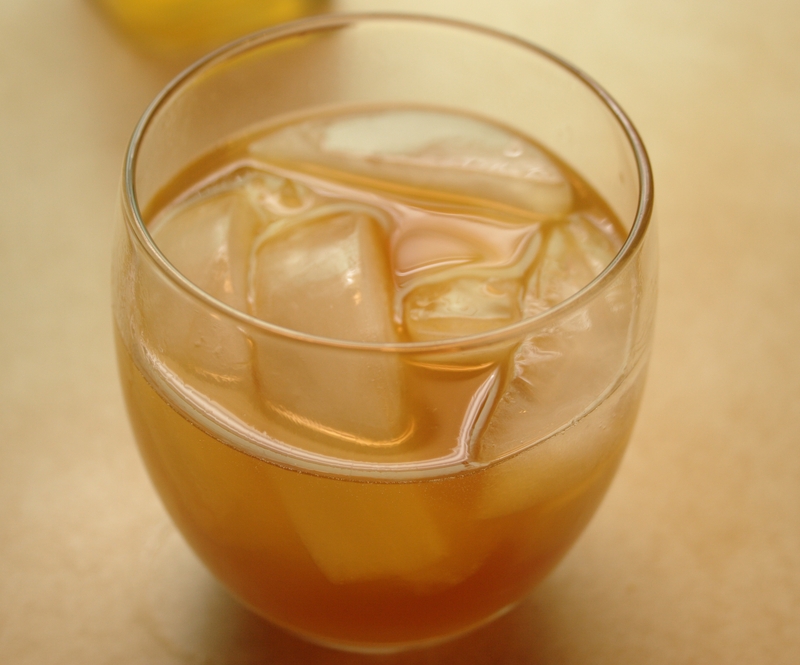 In a chilled rocks glass filled with ice, pour in your vanilla vodka and apple pie liqueur. Stir, then top with the cider. The reason it’s called the Apple Cobbler will be clear enough once this drink touches your lips. The apple pie liqueur and Lansdowne mix together beautifully, to give a dark, smoky apple flavor that reminds you a baked apple cobbler on a chilly fall evening. Then, on the after taste, you get just a hint of the vanilla from the vodka. Just like a dollop of ice cream on top of the warm cobbler. This is a very apple drink, so if you’re not fond of the taste, you’ll want to steer clear. However, if you can’t think of anything better than settling down for a cool fall evening watching the sunset with some cobbler, this is the drink for you! Lansdowne Rating: A- Very solid cider, however not easily accessible to those with lighter palates. « Announcing a New Sister Site!